My friends in the blogging industry told me about their shopping experiences during the first SM Ladies Night. Perhaps, because they know I love to shop. I'm amused every time I see people excited with huge sale. I still prefer shopping on regular days though, without the big crowd so I can go back and forth the fitting room. Who would not want discounts anyway? As long as the items on sale are in good condition. I was invited to the last leg of SM Ladies Night. What I like most in ShoeMart is the home section, followed by the SM Woman clothes, Parisian Shoes and Coco Cabana. While waiting for the program to start, we gathered at SM Megamall Fashion Hall. 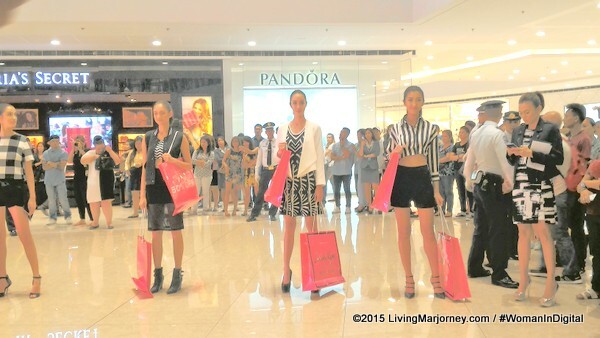 Suddenly a flash mob of gorgeous ladies appeared fashionably holding a pink SM Ladies Night Shopping Bags. 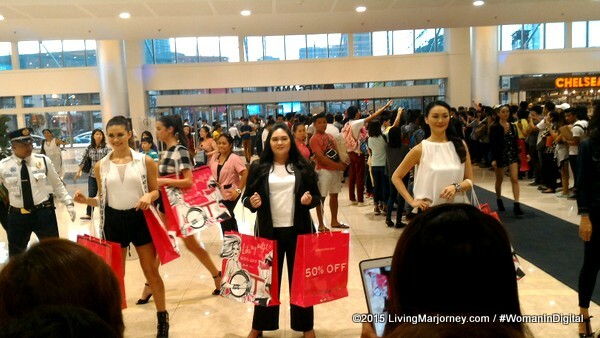 So it was their way of announcing the 6pm 50 % off on SM Woman, GTW clothes and other brands available at the ladies section of SM Dept. Store. 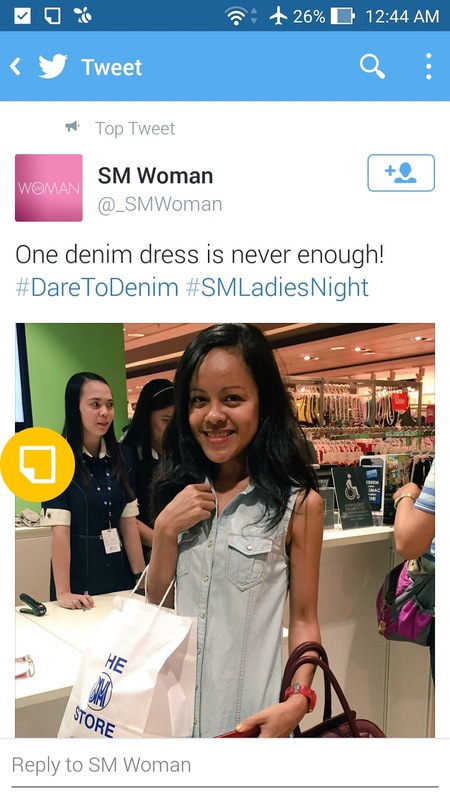 Last Wednesday was also the start of a new campaign, the Body-Positive campaign called #DareToDenim. It aims to make us women feel beautiful, comfortable, and confident in our skin, no matter what age, color, size or shape of our body. You would be surprise that SM Woman's denim has a lot of fashionable denim clothes for us. For this occasion, I decided to wear a long Giordano denim dress and comfy Bensimon shoes. The short event was hosted by the famous runway coach Joey Mead-King representing #DareToDenim and Issa Litton for #SMLadiesNight. At 6pm, Joey and Issa finally announced the start of SM Ladies Night everyone rushed to the 2nd floor, SM Dept. Store. 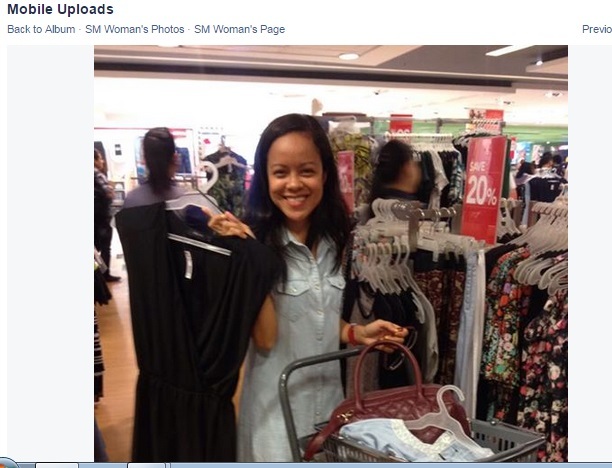 While having a great time all by myself, SM Woman Social Media spotted me twice and checked what's inside my shopping basket, yay! Guess how much I spent in less than two hours? P3,100+ but paid P1,500 only because these items were on huge sale, 50% off. 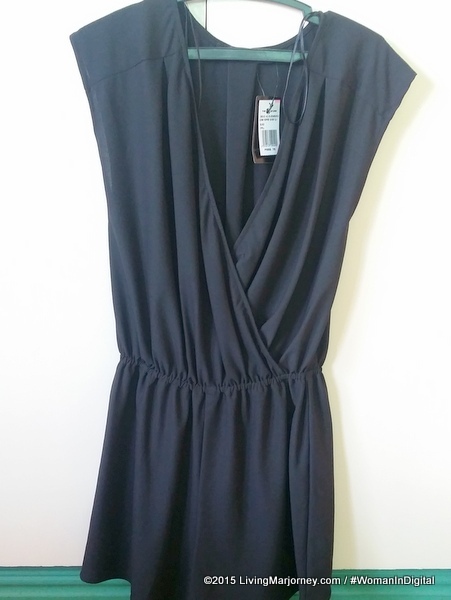 Check out what my Top Three Fashion Finds. Classy and elegant when worn with high heels and pretty necklace. Gigi Amore brassiere from P200 now only P100. I remember buying the same design for P299 or P250 a couple of months ago. This time, I got a fuchsia pink and old rose. Of course getting ready for #DareToDenim I also bought a pair of SM Woman Denim Pants and top. The last leg of #SMLadiesNight was extended until 10pm. I left the mall a happy shopper around 8pm. Where you able to catch last Wednesday's #SMLadiesNight? If not, stay tuned for more of #DareToDenim. You may also follow SM Woman on Facebook. See you at the next #DareToDenim shopping event. For updates, subscribe via email, follow me on Instagram, Facebook and Twitter. Remember, denim is for all, there's one for every woman.